This holy week season, most banks in the Philippines are closed. However, banks nationwide made all ATM (Automated Teller Machine) available 24/7 this whole lenten season. Some of the banks closed until Monday and others only this coming Easter Sunday. 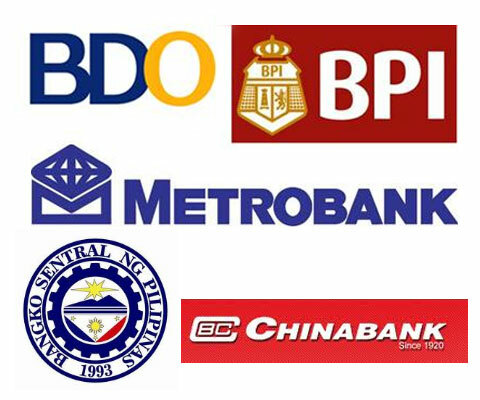 The listed banks below are, Bangko Sentral ng Pilipinas (BSP), Banco De Oro (BDO), BPI and BPI Family, Metrobank and China Bank. All BSP banks branches are closed until Monday. But their assured that all automated teller machines (ATM) are online and ready for the Holy Week demands of withdrawals. All BDO banks branches are closed until Easter Sunday. Banks inside the malls will be closed from the following days: Maundy Thursday, Good Friday, Black Saturday, Easter Sunday and Easter Monday. You can also call our 24/7 Contact Center at 89-100 for your concerns. Some branches are open during the lenten season (April 5 & 7, 2012) and Araw ng Kagitingan (April 9, 2012) For more information please visit mintscreen website. CBS will be closed from Holy Thursday, through Black Saturday. All branches will likewise be closed on Easter Monday. Regular banking operations will resume on Tuesday. Comments or suggestions about "Philippine Banks Holy Week Schedule" is important to us, you may share it by using the comment box below.